Desertification, the degradation of formerly productive land into desert, is a complex process. It involves multiple causes, and it proceeds at varying rates in different climates. 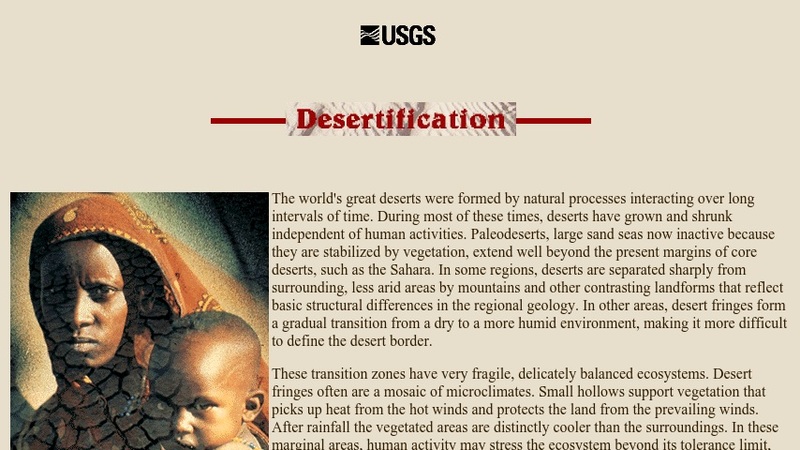 This web page, produced by the U.S. Geological Survey, features text and photographs that explain what desertification is, how human activities may contribute to it, how satellite imagery is used for monitoring vulnerable areas, and how its effects may be mitigated by improved agricultural and land management practices.